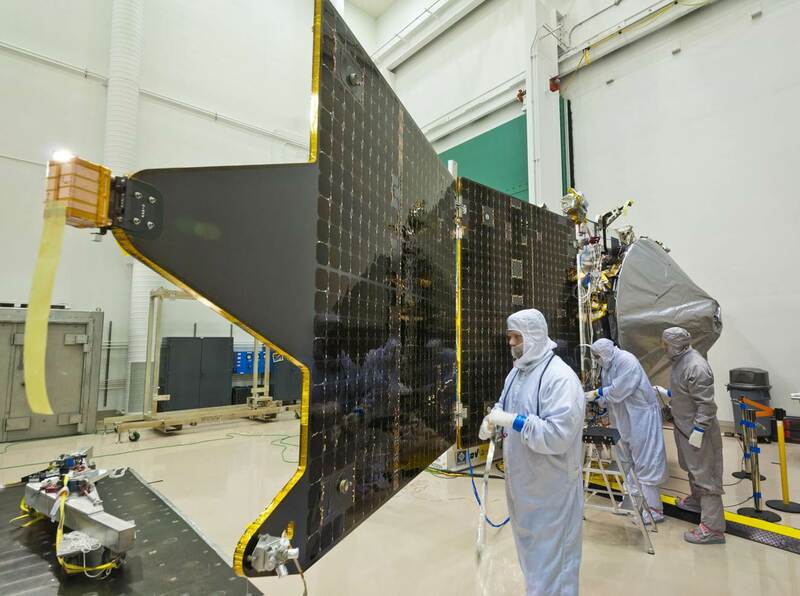 During an October 28, 2013, news briefing, NASA and Mission officials revealed that the Mars Atmospheric and Volatile Evolution (MAVEN) Mission is back on track for its planned November 18 launch from Cape Canaveral Air Force Station’s Space Launch Complex 41 (SLC-41) in Florida. That Mission had been among the many NASA programs that had been affected by the partial government shutdown that began on October 1. But the details of exactly who made the decision to allow MAVEN work to re-start after only two days of the recent 16-day shutdown, and the criteria for that decision, remain as clouded as the mysteries that MAVEN has been designed to probe on the Red Planet. The answers to that question could have significant implications, not just on future exploration of Mars, but also on the stewardship of our own planet. Jakosky, the MAVEN team, and scientists around the world have hypothesized that Mars’ CO2 and water, the fundamental building blocks of life (at least as we know it), either were absorbed into the planet’s crust or escaped into space. What caused such a catastrophic migration? Did, as some scientists speculate, the solar winds from the sun strip off these materials over time, molecule by molecule? Or at the other end of the causality spectrum, did Mars lose its more habitable environment through some dramatic and perhaps cataclysmic event? The nine complex and sophisticated sensors aboard MAVEN have been designed to begin unlocking that mystery. If all goes well, an Atlas V rocket will propel the MAVEN vehicle into space on November 18, on a ten-month journey toward its rendezvous with Mars. It is scheduled to enter orbit around Mars about September 22, 2014, spend about 5 and a half weeks deploying and calibrating its instruments, and then begin its one-earth-year measurement and mapping of the Martian environment on or about November 1, 2014. After that 12-earth-month mission, MAVEN is projected to have enough fuel to power it for another decade, as it will continue to circle the planet and beam back information to data-hungry scientists on earth, through NASA’s Planetary Data System. According to Jakosky, it only took about a week for MAVEN team members, working extra shifts and the weekend, to make up the lost time from its two-day forced furlough caused by the political stalemate in Washington. But their schedule is full between now and the opening of the launch window on November 18. The payload adapter ring is due to be installed on the Atlas V in the next few days. 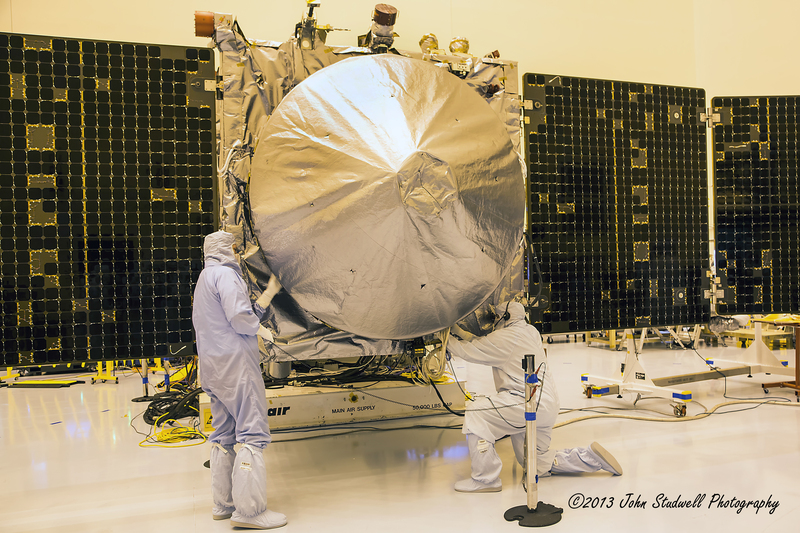 The MAVEN spacecraft itself will make its final earth-based journey to the launch pad on November 6. 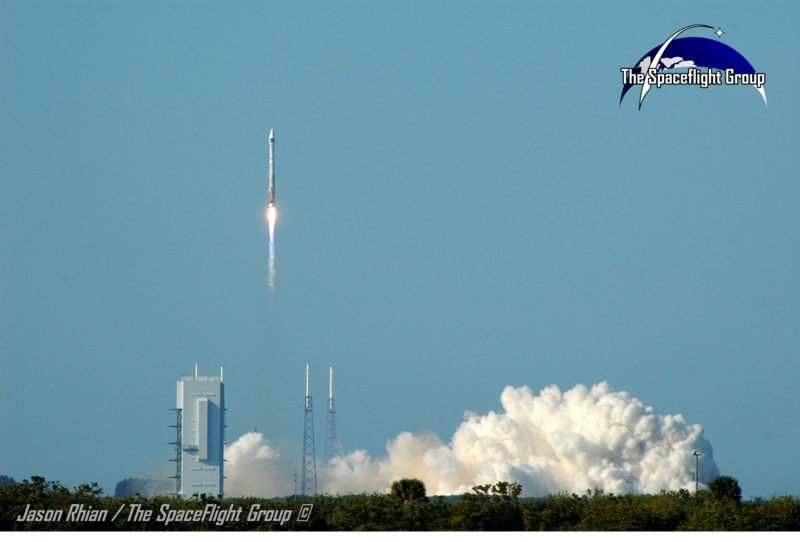 And on November 16, the Atlas V with Maven securely attached in it nose cone will be rolled out to launch position. When pressed by reporters, MAVEN Program Executive Lisa May credited the thorough, detailed work of the MAVEN team for assembling a persuasive case during the government partial shutdown that unlocked the doors to the clean room where the idle spacecraft waited patiently for its minders. But she and the other NASA officials present at the news briefing were noticeably evasive about who specifically made the decision, on whose authority, whether the White House had to approve, and on what precise criteria the decision was based. In response to a follow-up question, they admitted that some other projects or missions, and their related data and science, were lost forever. While NASA idled an estimated 97 percent of its workforce, did other agency and department heads more liberally interpret the ambiguous guidelines on which employees are “excepted” from the furlough? MAVEN and other Mars missions may well unlock the mysteries about the Red Planet before we learn the answer to that bit of Washington political intrigue. MAVEN weighs 5,410 pounds and, as mentioned, will launch next month atop a United Launch Alliance Atlas V 401 rocket. Liftoff will only be the start of the spacecraft’s odyssey, it will spend approximately 10 months in the void between our world and Mars. After it arrives at the Red Planet it will enter an elliptical “science” orbit in September of next year.